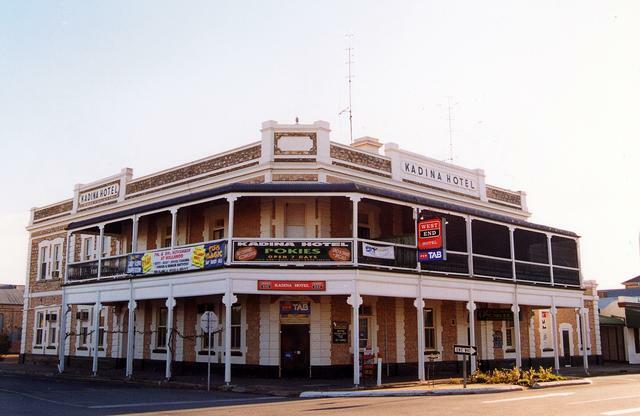 Kadina Hotel Established in 1865 as the Miner's Arms Hotel and was rebuilt in 1904 and was renamed the Central Hotel in 1905. 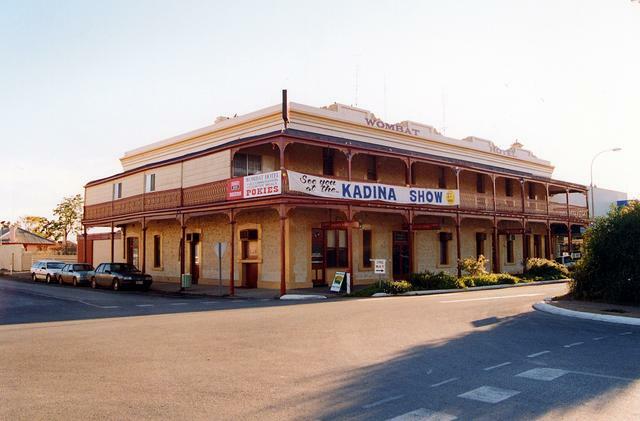 The name was changed to the Kadina Hotel in July 1958. 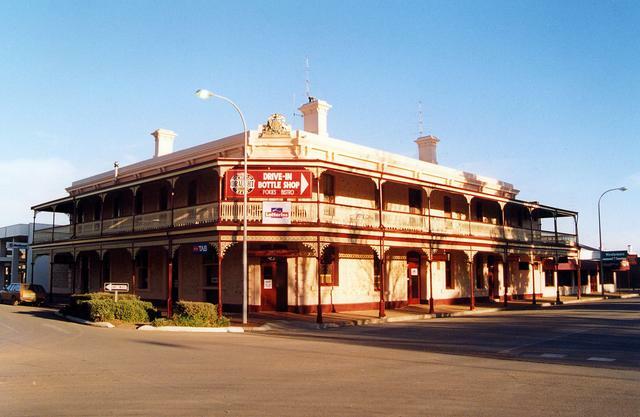 Royal Exchange Hotel Established in 1861 as the Exchange Hotel and was renamed the Royal Exchange in 1875. 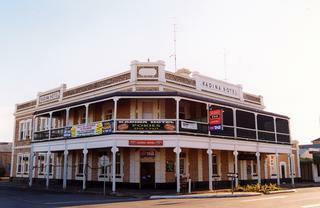 The hotel once had the longest verandah in South Australia. The hotel has a National Trust listing. Wombat Hotel Opened as a boarding house for miners in 1859 and was first licenced in 1862. National Trust listed.